I'm going to repost a recipe that is a family favorite. I posted it last summer when my daughter, Hannah, was perfecting this recipe for 4-H judging. We love 4-H!! The four "H"'s stand for Head, Heart, Hands, and Health. 4-H isn't about just cows and pigs and growing zucchini. It's so much more. Some options for 4-H projects are animals, food, sewing, crafts, woodworking, photography, public speaking, child development, gardening, etc. Last year some of my kiddos had entries in foods, arts and crafts, model building, and photography categories. This year we have four kiddos who are in the age range for 4-H and one in the category of Mini 4-H (for 1st and 2nd graders...judging isn't a big deal and everyone gets a ribbon.). My 4-H kiddos are going to each enter a food category (I can't wait for the new recipes we get to try!! ), the oldest wants to enter a few chickens, the youngest of the group wants to enter a kid from our Nubian who's due next month, and the girls are working on some craft projects to enter. I love watching them hone their skills, learn new ones, and gaining the communication experience by speaking with the judges. But most of all I enjoy seeing the smiles on their faces when they get a ribbon (no matter what color it is!). It's going to be fun! 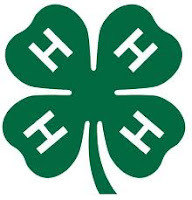 Our 4-H sign up deadline for our county is April 1st. You may want to find your 4-H county by googling 4-H and the name of your county. 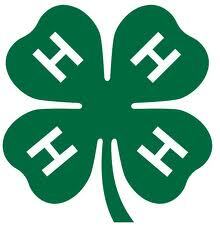 If you want to learn more about 4-H go HERE. Preheat oven to 350 degrees and spray or grease muffin tin. Place butter, eggs, bananas and vanilla in stand mixer. Mix on low until just combined. Sift flour, baking powder, salt and sugar together with a wire whisk in a separate bowl. Add dry mixture to the wet mixture in the mixer. Mix on low until just combined. Fold in blueberries with a wooden spoon or spatula. Reserve some to place on the tops. Bake for about 25 minutes or until toothpick inserted comes out clean. Makes 12 wonderfully delicious muffins. 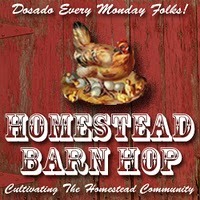 This post is part of Homestead Barn Hop. Love your music! Popped over from the Barn HOp... my entry today is Cottage Hens! Hi Carmen..........this recipe looks so wonderful. I think it is a must for the kids at the college! Thank you for putting it up for all of us to try it out. Just had to say hello and God bless sweet friend! Ahh 4-H. 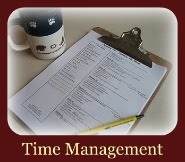 Brings back memories of late night achievement days and filling out the old 4-H book at the end of the year. Glad to see your kids are involved. I put chocolate chips in my 4-H banana bread, but blueberries sound a bit healthier.